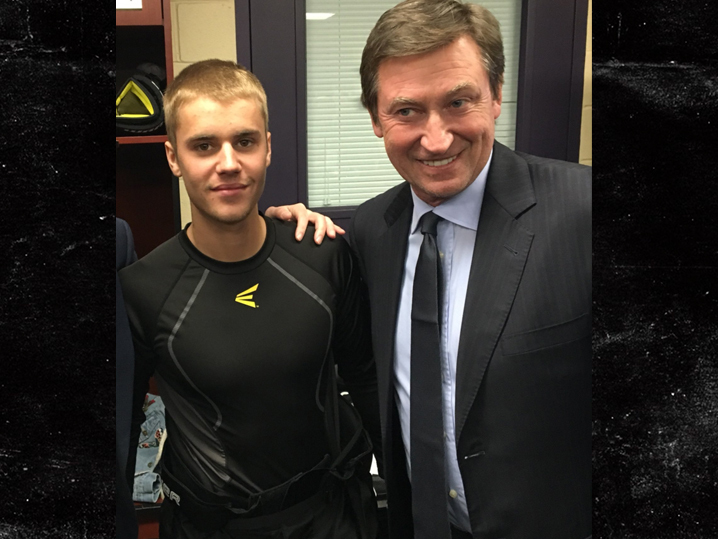 Justin Bieber had some flashes of The Great One at the NHL Celebrity All Star Game … an event that honored Alan Thicke. The Biebs laced ’em up Saturday at Staples Center with some NHL legends, celebs and even Thicke’s 19-year-old son Carter. It’s clear to tell — Justin was able to keep up with some of the best of them — even scoring just as the game was ending. As we reported … Robin Thicke was scheduled to participate in the event but pulled out last minute because of the nasty custody war brewing between him and Paula Patton. Each player’s uniform was fitted with a custom patch to honor Alan.